The place where you can find little blog items, reviews, pictures, news and a twitterfeed. Find out more about the bands I perform with. Almost all pages have videos included. 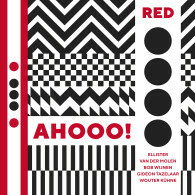 RED is a new band with two dyed-in-the-wool musicians and two up-and-coming super talents. Their sound is uplifting, vibrant and energetic, reflecting the tradition from the fifties in their own quirky originals. Soulful jazz with that great Hammond organ sound, the classic combination of trumpet and tenor saxophone and drums that swing the American way. Buy us on iTunes or through our webshop. Hope you like it!